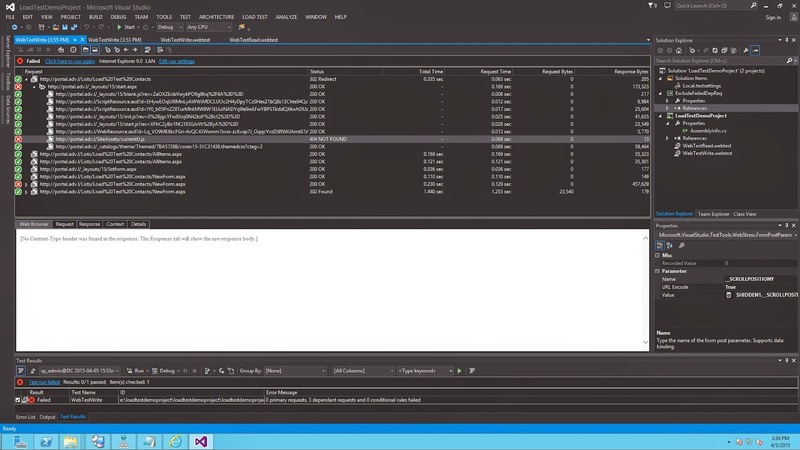 Last week I had to do load test for one of our customers SharePoint 2013 environment, so I decided to share with you some gotchas that might not be obvious for SharePoint Administrators that are new to Visual Studio(VS) and do not have experience with load testing with VS, but want to try or use it. If you happened to be a fulltime developer or maybe QA, please do not laugh out loud and feel free to leave your comments below this post. 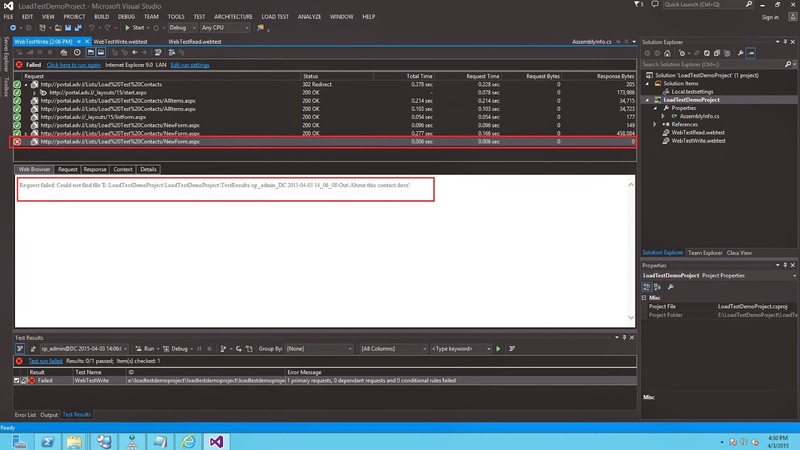 This article is not a walkthrough on how to build load test solution with VS2013. 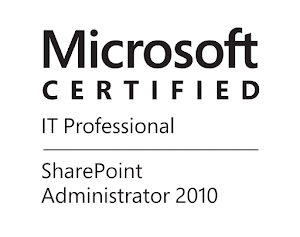 There is a great SPC 2014 session from Todd Klindt and Shane Young, it is very informative and so much fun. So, in the test I created for my customer I have 3 Web Tests, two with read profile browsing different sites and testing search and one that has a write profile. The write activity is to create an item in out of the box Contact List and attach a small file to the item. The first thing that failed was in the "write" Web Test. File Upload is Failing - Now in the new versions of Visual Studio this should not happen, the feature was introduced back in VS2010. However it happened with me when I did this the first time. The entire web test failed because it was unable to find the file that should be attached in the list item. The strange thing is that in the next day I recreated the test and everything worked fine. I tested this with Visual Studio 2013 Update 1 and Update 4. 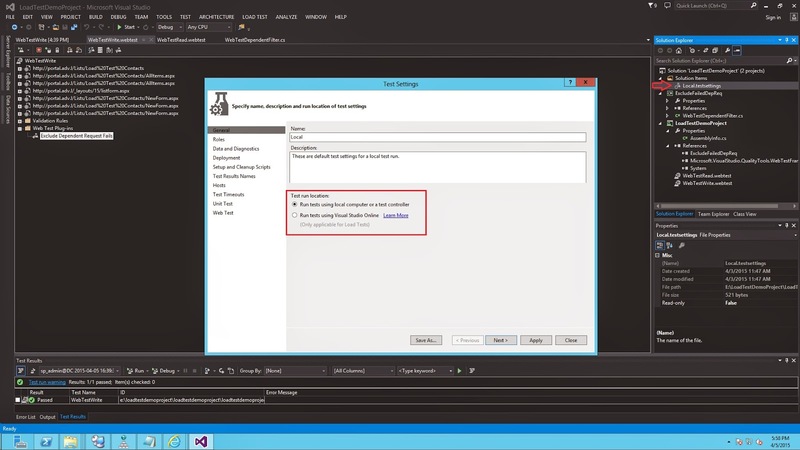 The normal behavior is when you record your web test Visual Studio is intelligent enough and knows what file you are uploading, it will copy that file to the load test project root folder and will set the post request for the test to take the file in your project folder. However this might not happen and your web test will fail, like I have shown on the picture below. [Solution 1] - This is the quick and dirty solution and since I am pro I went right for it :). When we are adding new item to a list we have a form that we should fill and then by clicking Save we send POST request with the parameters of the form, the file path that should be uploaded is parameter as well. 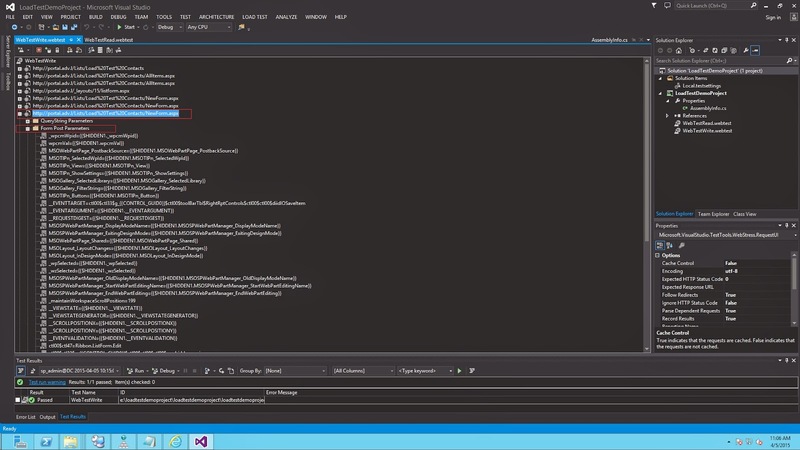 The POST request parameters are recorded by Visual Studio and you can edit them. You have just to find the correct request, expand it, look in to the "Form Post Parameters" like it is shown below. Next you have to locate "File Upload Parameter" that has some value for FileName and the value is just the filename of the file you want to upload. It is possible to have empty File Upload Parameters or many different parameters. When you find the correct File Upload Parameter you just put the literal path of the file as FileName property, like on the picture below. Now, this is not very good because when you move your Load Test project to a different computer you have to move the file and again edit the File Upload Parameter(eventually). For a better solution keep reading/scrolling. In this book there is source code of a web test plugin that can filter dependent requests that are starting with certain string. This will be fine if your dependent request were from different domain like some CDN or caching solution. If I use this plugin as it is, it will filter all dependent requests from my SharePoint site. This is why I modified the code to filter dependent request that are ending with certain string. You can read how to develop and use your own plugin here. See below how it looks. I have highlighted some of the important elements from the picture(hope you see it well), however I want to stress on two things. After you build your web test plugin project it is just a class library(dll), in order to have your new plugin available in your web tests you have to reference the dll in your Load Test project. The second thing is the configuration of the ending sting for filtering. This is first configured when you add the plugin to the web test, you add the string as value for property FilterDependentRequestsThatEndsWith, in my case it is ".js". If you like my plugin you can download the project (builded dll is in the bin/debug folder) here. The third gotcha I will share took me 5 minutes to figure it out. It is not so much, but this issue popped out right after I launched the entire load test for first time. This was important because I was testing Production(like a boss) and I was going to test the limits of the Farm so the timing was negotiated with the customer as maintenance window with possible service degradation and/or outage. 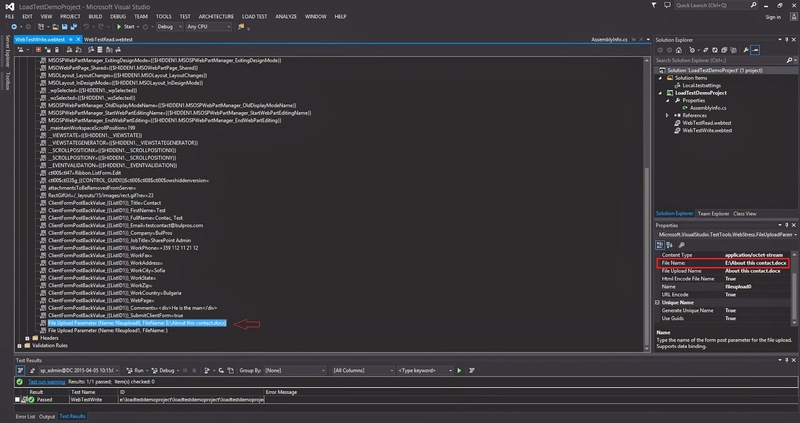 Configure Load Test run location - This setting specify whether you will use Visual Studio Online or the computer you are running the test from. As I wrote above I have tested this with VS2013 Update 1 and 4, so I will assume that from Visual Studio 2013 Update 1 the default configuration is Visual Studio Online. You can change/check this in test settings of your solution it is in the General section as it is shown below. If you click on Deployment section you will see that there is an option to add additional files that should be deployed with the solution. [Solution 2 - File Upload is Failing] - Add the file as deployment in the test settings and if needed edit the post request form parameter to refer to the file only by filename. This solution is way better. Finally, this post became too lengthy for blog post, but I hope it was informative!